Every running session brings surprise locomotives and stock, and these are just a few of the many visitors. A G.W.R. 4 wheel full brake built by Richard Abbey from a Slaters kit, painted and lined by Ian Rathbone. James Aitken brought this laser cut and 3D printed uneven planked Southern Railway box van. Cambrian Railways 45′ non corridor Lug/Lav/Tri composite No 283. These first two were built by Peter Dawson using Trevor Charlton sides and painted by Dave Studley. Dave Thomas brought this Taffy 0-6-2T for a turn. James Aitken's Drummond T9 4-4-0 heads a Great Western corridor rake along the up main. This ex L.S.W.R. greyhound was built by Dubs & Co in summer 1899. Jonathan Marcus brought a L.N.W.R. 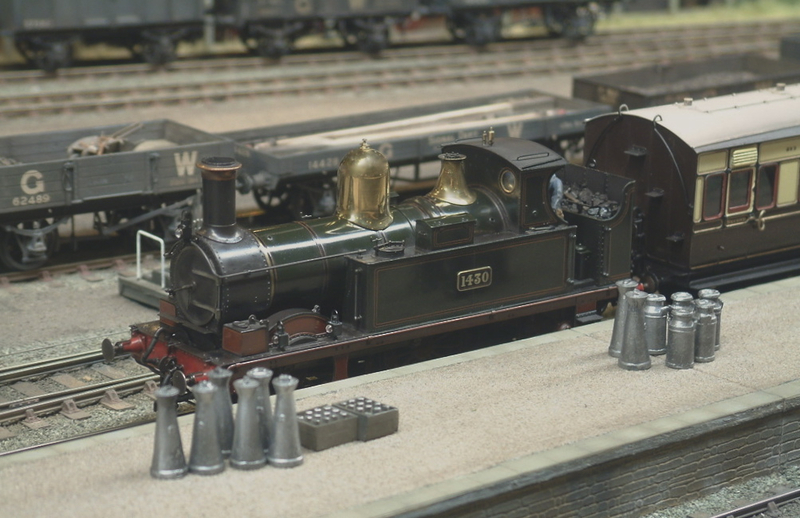 Holyhead express rake which looks right at home behind Paul Glover's lined black Patriot 'Giggleswick'. Like many of the 52 members of the class, No 5538 was only named a few years after it's 1933 build date. 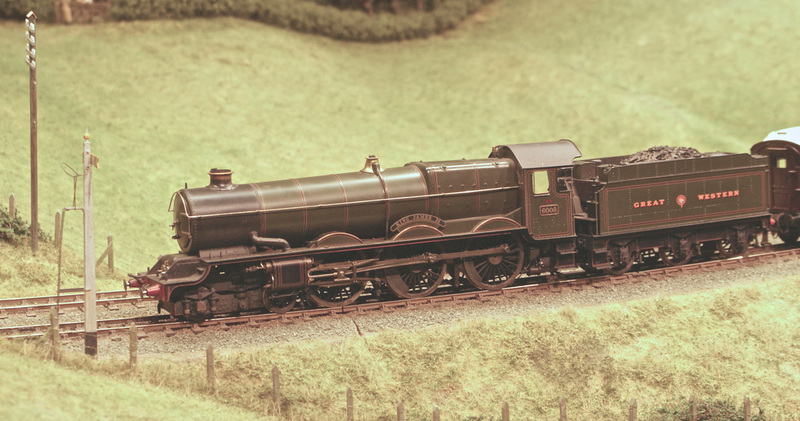 The immaculate lined black 4-6-0 is from a Lee Marsh limited run. This small L.N.W.R. 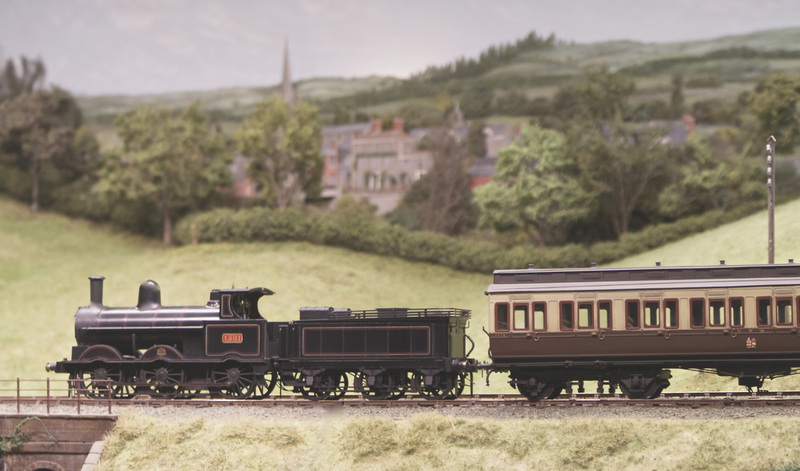 train is made up of some glorious models from the hands of master craftsman John Petcher. Most are over twenty years old but the finish is as fresh as when they came out of his workshop and a credit to their “real” home of Wolverton. 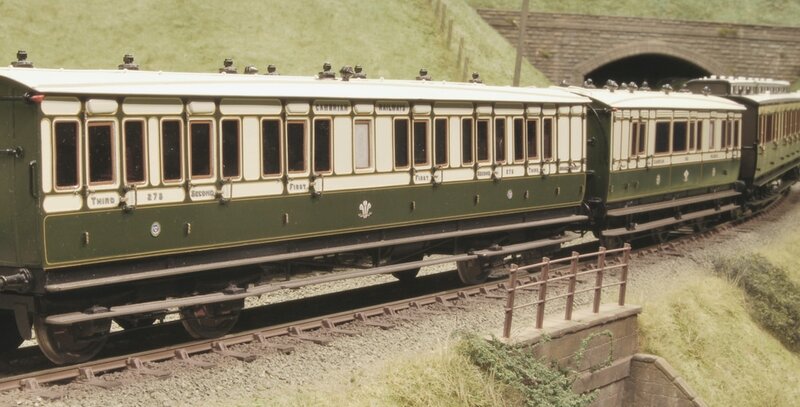 The train is led by a relatively rare double-ended brake, followed by a high-roof Third; then an arc-roof Third (giving the mix of roof profiles so typical of many L.N.W.R. 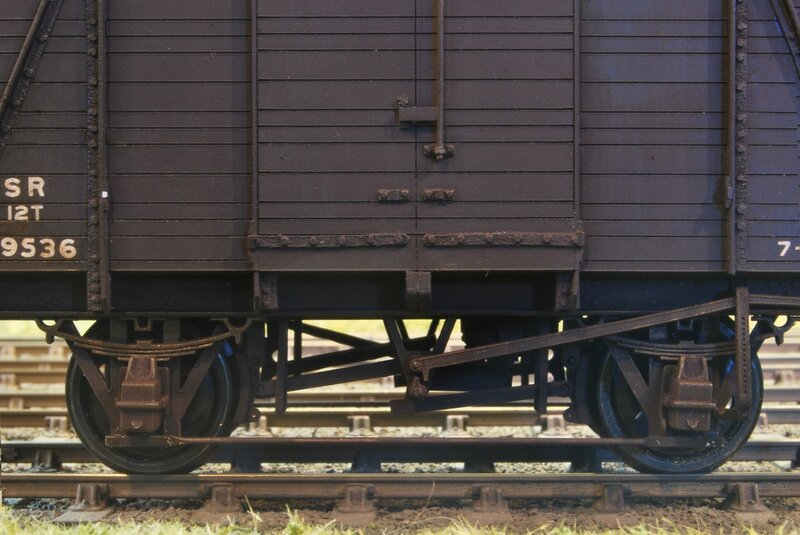 trains of the period; then a high-roof composite; and a brake-third. 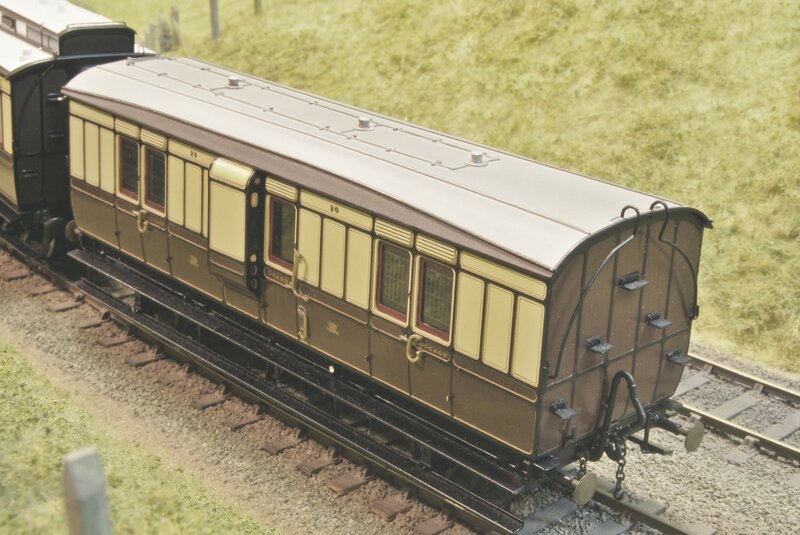 The last carriage is a rather fine Cambrian Railways Brake tri-composite. 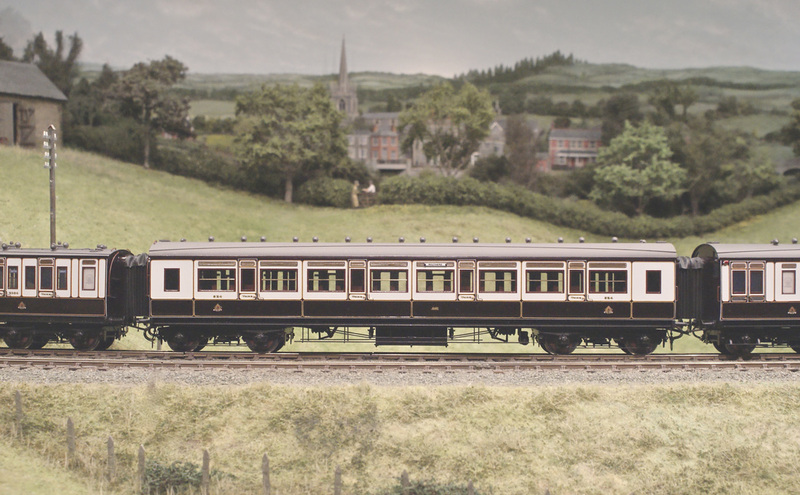 John also built at least one of the slightly later Cambrian high-roof brake composites which sometimes made their way as far south as Euston. This Wolverton arc roofed Corridor Third varies the roofline of the train. 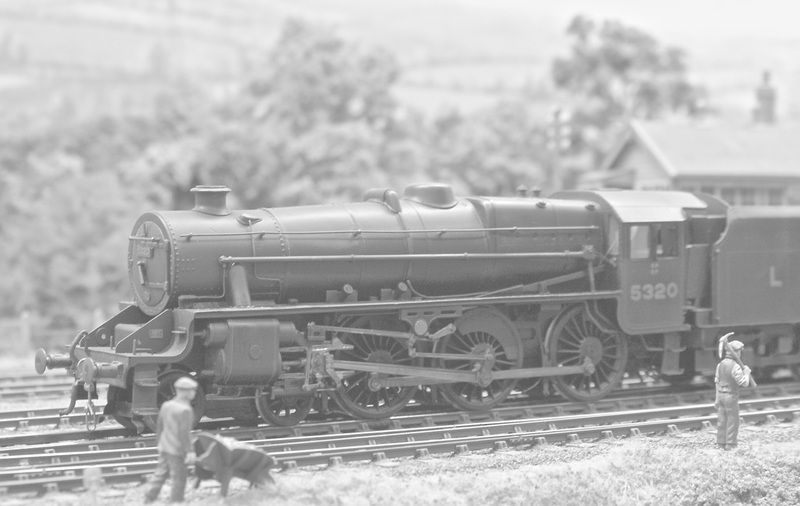 A new Southern Railway Lord Nelson class No 854 'Howard of Effingham'. 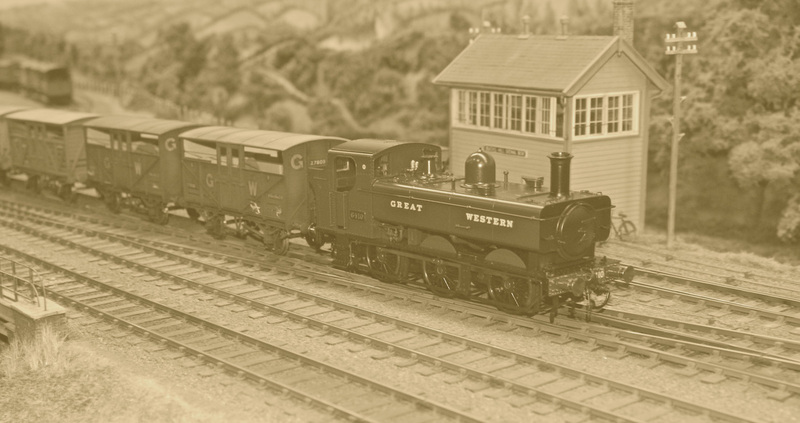 The Maunsell designed 4-6-0 was built at Eastleigh in October 1928, originally intended for heavy passenger work to the South coast and West of England. Simon Hill built this LN in original 1926 small chimney condition, with the early lined olive green livery. It was done in 300 hours, from an Iain Young ‘Sanspareil’ kit. Simon also machined the Alan Harris wheels and fitted a 135 degree inside crank and valve gear. No 16528 brings a loose coupled coal train back to Worcester, The six plank opens are owned by the South Wales & Cannock Chase Coal & Coke Company. The 0-6-0T was built by the Hunslet Engine Company in 1928 with Fowler modifications to the original Johnson 3F Midland design. Jack Anziani brought this ex North Western 6F-A 0-8-2T No 7885 which was essentially a Super D side tank. The Bowen-Cooke designed workhorse was built at Crewe at the end of September 1915, with Joy sllde valves and 27,240lbs of tractive effort. 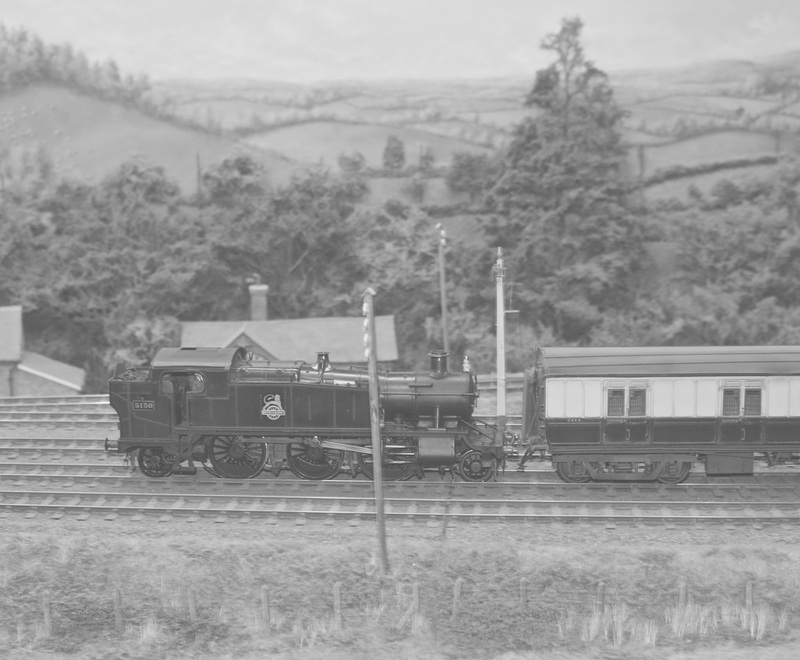 A G.W.R Auto trailer slows as it prepares to stop at Bucks Hill. Photo by Barry Norman. 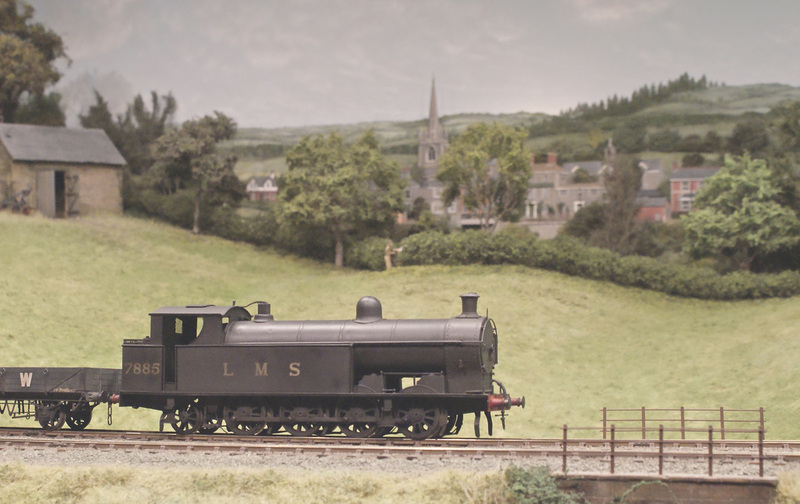 The branch line has a visiting L.M.S. 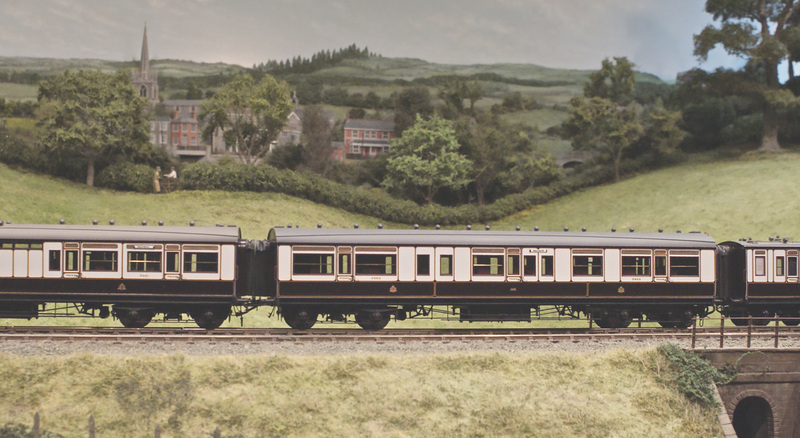 2-4-2T, with a matching lined lake compartment auto trailer. Single chimney King No 6008 King James II, built in March 1928 and originally allocated to Plymouth Laira. 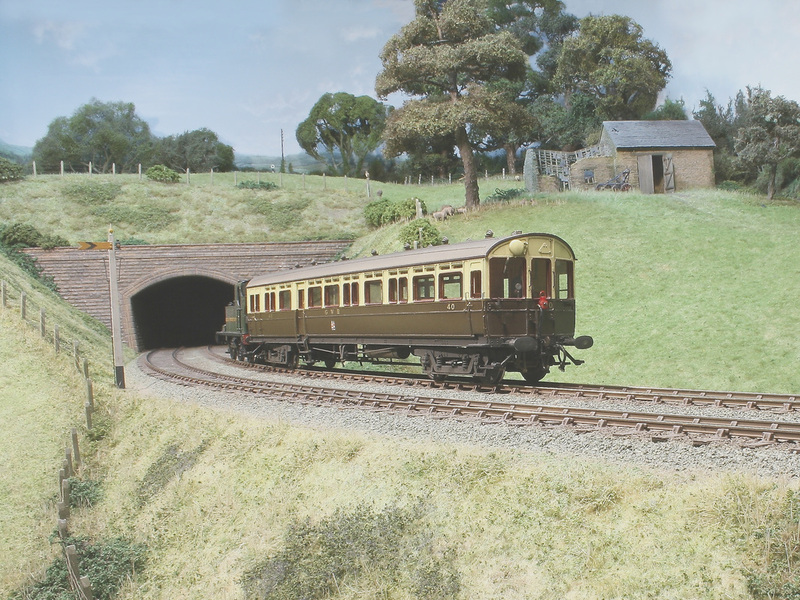 The early British Railways period, with a newly repainted Prairie running Bunker first. 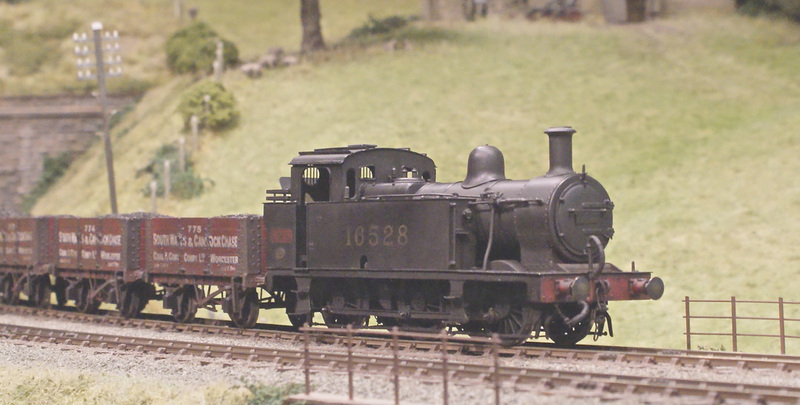 A recently finished 64xx Pannier based on a Scorpio kit, heads a cattle van train on the up main. The Golden Valley branch line platform, with a G.W.R. 517 class 0-4-2T and four wheeled carriages. The goods shed is in the right hand background, with the station to the left. This view was taken a while ago with the old side tank loco waiting to be uncoupled. Lee has now arranged a 3D design file to produce a limited run of this class of locomotive. 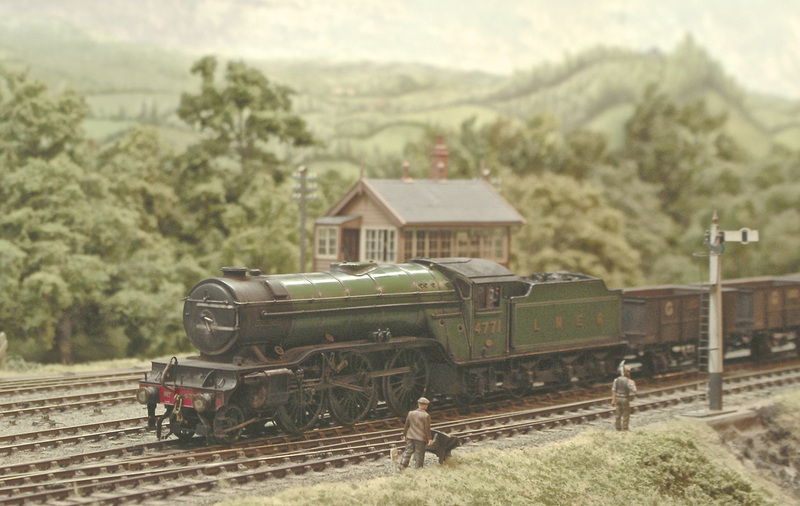 Beautifull example is a visiting loco made by Malcolm Mitchell from one of his own kits and painted by Alan Brackenborough. Dr Paul Glover’s early L.M.S. period Super ‘D’ has the characteristic offbeat wheezing exhaust sound, replicating that of the originals, with the mis-timed beats due to the slightly worn Joy valve gear. Made, painted and weathered by Nigel Smith from a David Andrews kit. A grimy visiting Stanier Pacific waits for the platform starter with eight flush sided lined crimson lake L.M.S. carriages on. Made by Masterpiece Models and weathered by Martyn Welch. 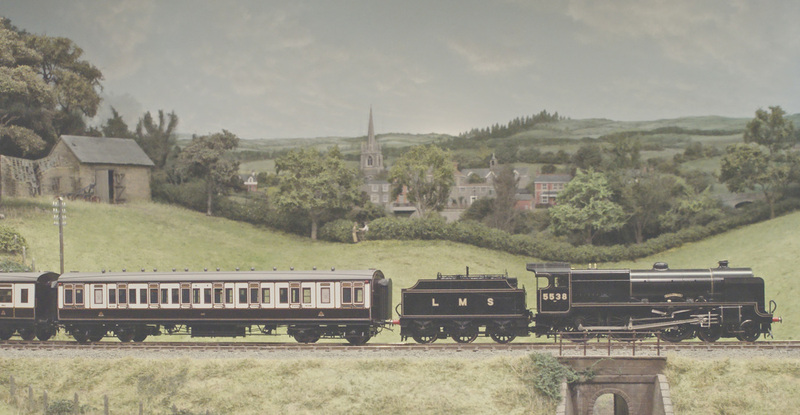 'Duke of Connaught’ passes Bucks Hill with its train of clerestoried carriages. 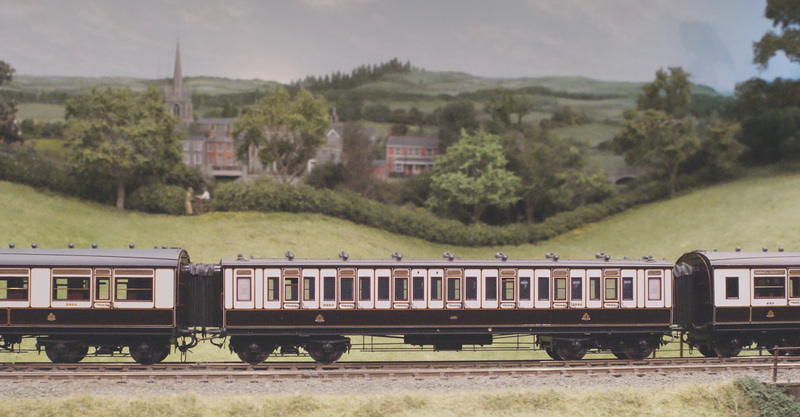 Example by Lee Marsh Models is tender drive allowing full inside motion.